Happy Monday!! 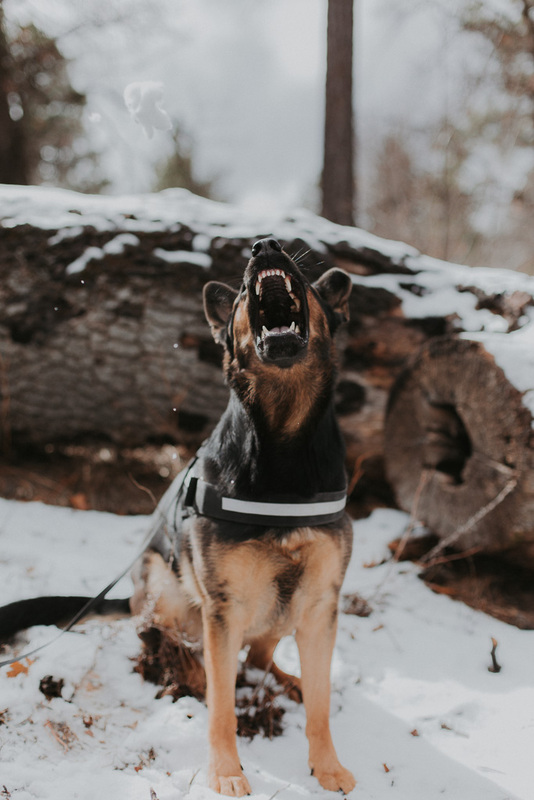 Super excited to share this post with you all. So this past summer I interned in Washington DC and let me tell you, it was HOT. Hot and super humid. 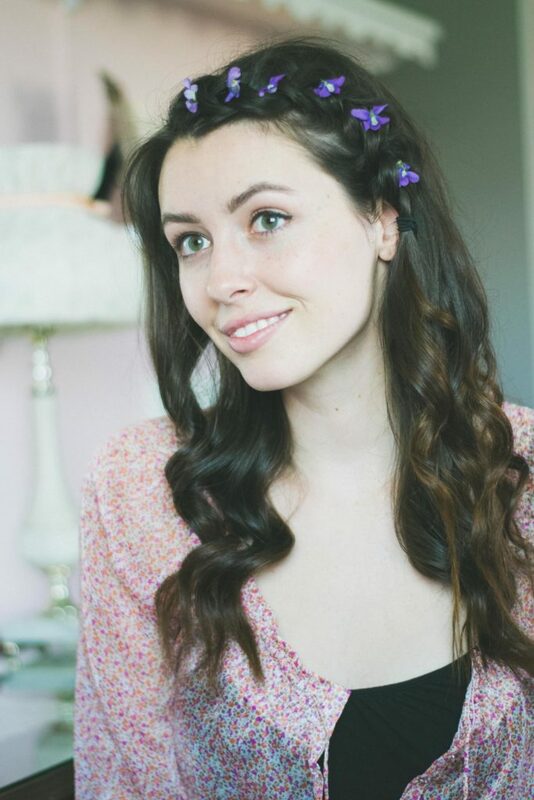 It was during this summer that I crafted one of my absolute favorite go-to braids. 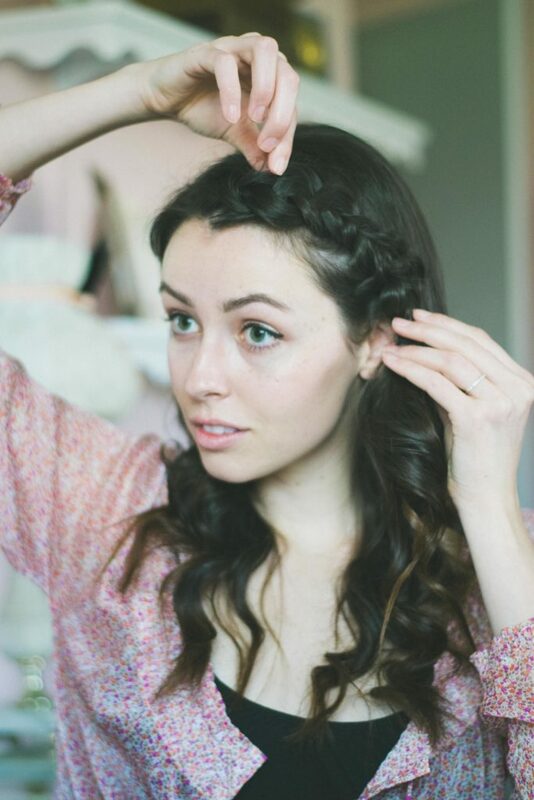 Today I’ve adapted this braid into something a little lot more bohemian! 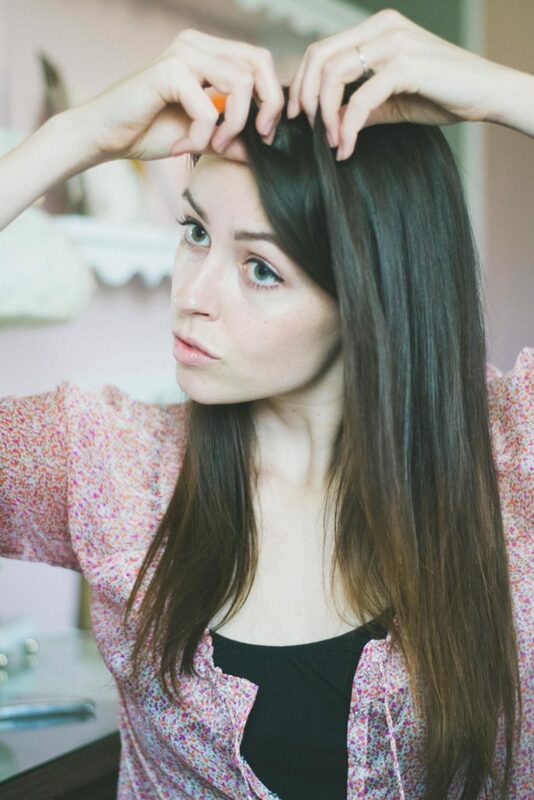 One of the biggest things I struggle with (and I’m sure you all do too) is frizz during the summer time. Blame it on the sun, blame it on the chlorine, but my ends get a mind of their own and become super frizzy and unruly. 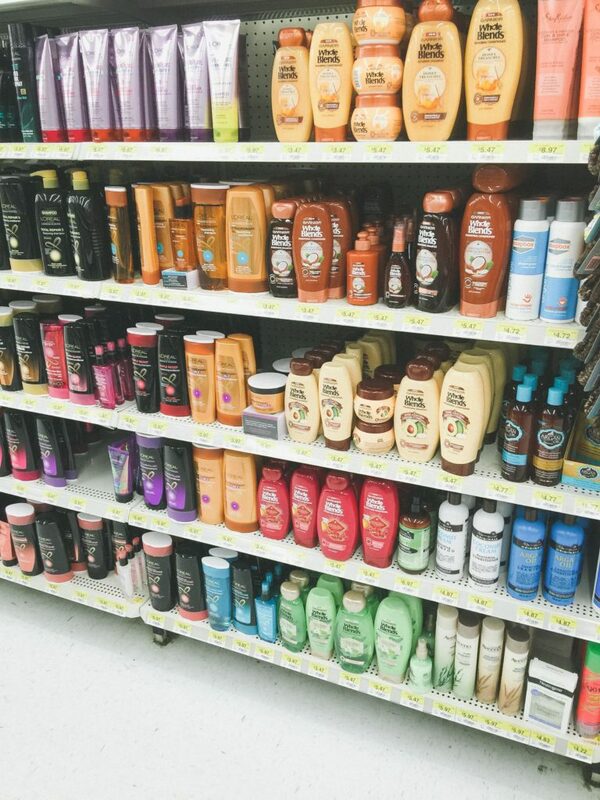 I dropped by Walmart and picked up Garnier’s new Whole Blends line, specifically their Smoothing Hair Care line. It has a dark bottle with a cute coconut on it. I’ve been using Garnier off and on since middle school so I was super excited when I heard about this new formula!! 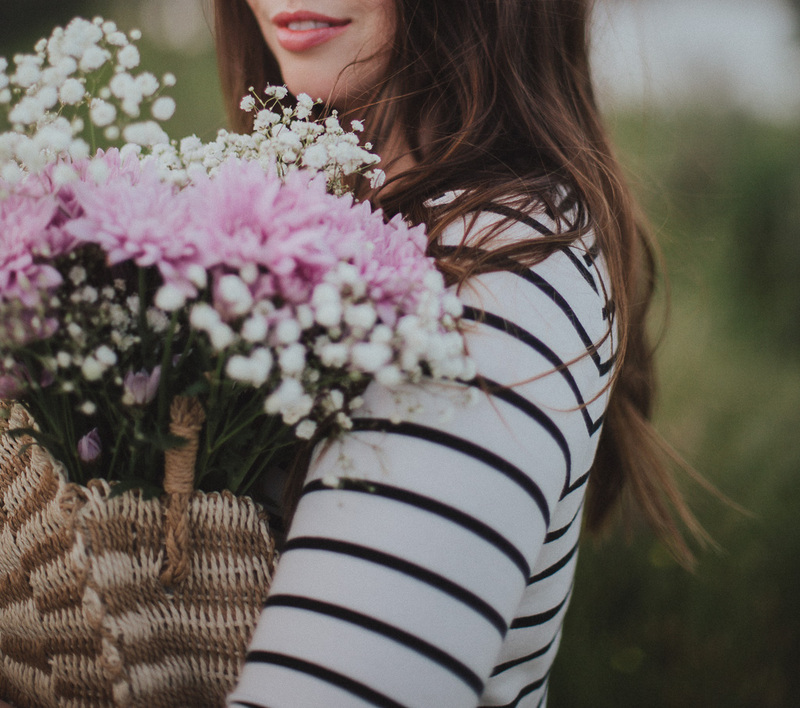 There are no parabens in the products; this is important to me and I’ve been slowly ridding paraben-filled products from my entire beauty regimen. Also, there’s coconut oil in it (as well as cocoa butter). Blessed coconut oil. I am a total addict to the stuff. I always have a jar in the house and use it for probably too many things LOL. 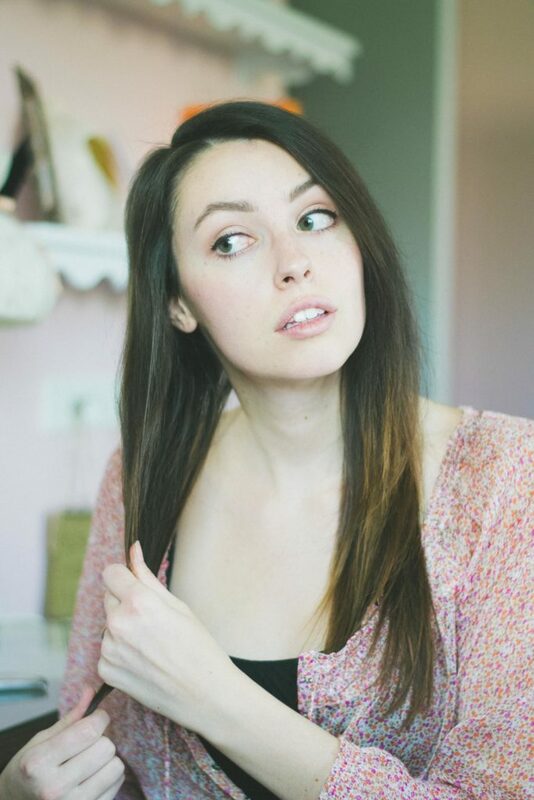 For years I’ve used it directly on the ends of my hair as a smoothing treatment to tame frizz, but that meant I couldn’t leave the house because my hair would be a greasy mess. Major bonus points happening because the smoothing oil does not weigh my hair down. Okay let’s get to the fun part…the hair tutorial! 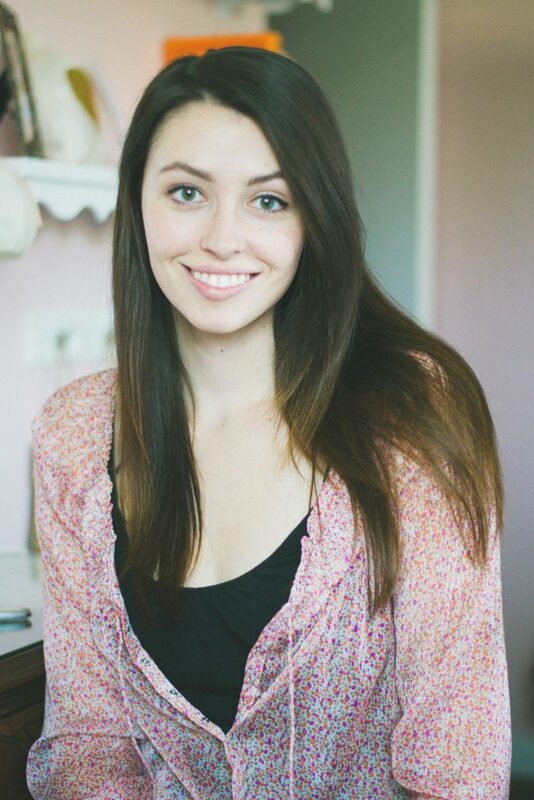 Begin with your hair parted to the side. Take a small amount of smoothing oil and apply it just to the ends. If you have fine hair like me, make sure you don’t use too much! Take three small sections of hair and begin to braid a dutch braid. Make your braids tight, and do not add in that much hair. 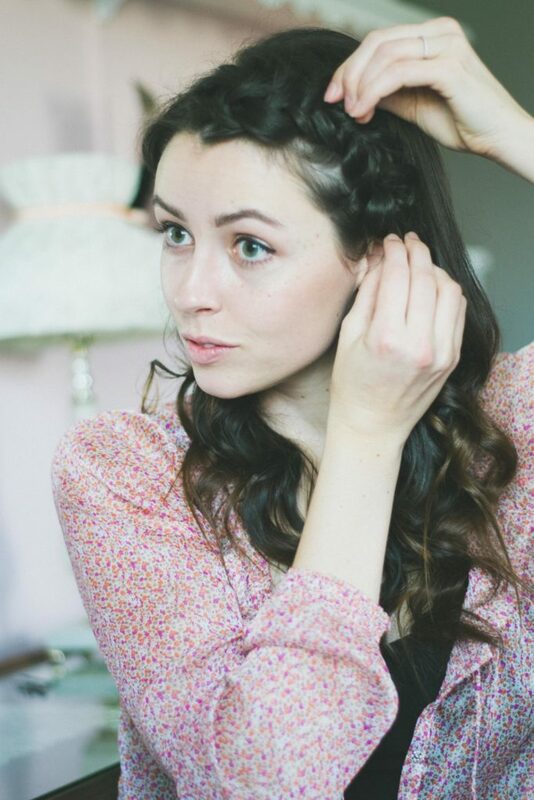 Once you reach your ear, secure the braid with an elastic. At this point I teased the hair near the back of my head-totally optional tho! 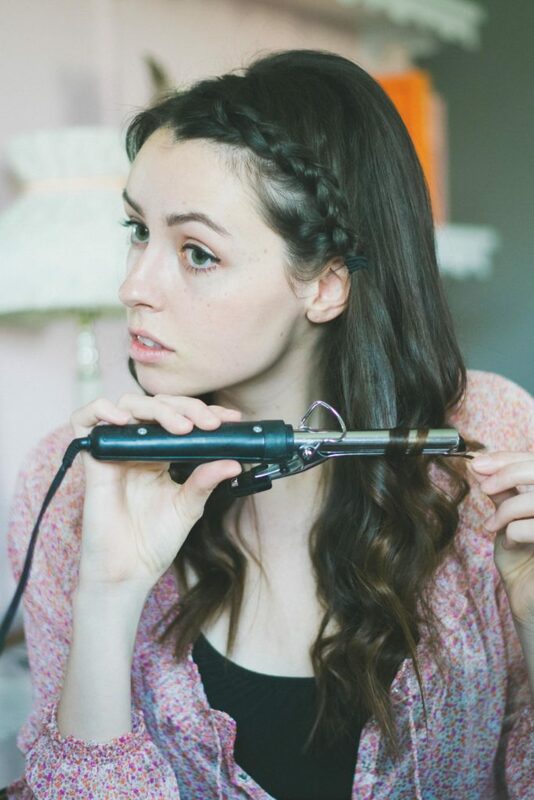 Now take your curling iron or wand and quickly curl the ends of your hair all in the same direction. Set with your favorite hairspray and let cool. 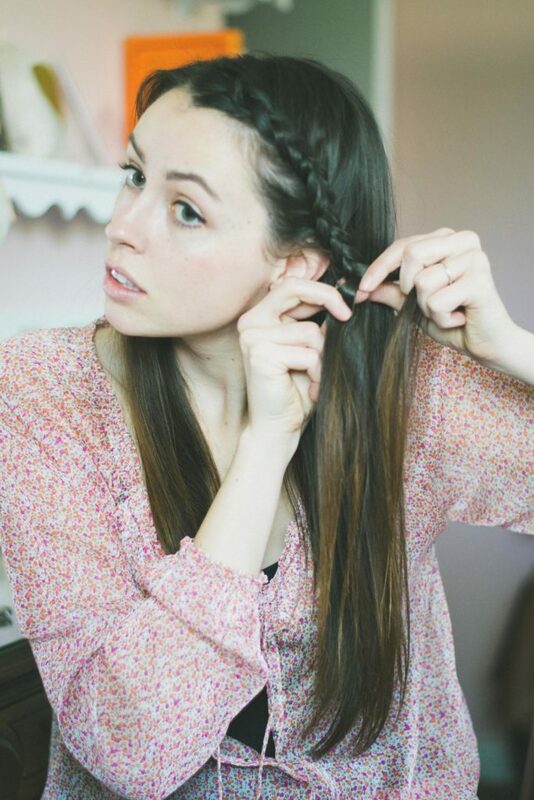 Pull your dutch braid loser by starting at the top and gently pulling each loop to make the whole braid look thicker. For this look I used flowers I found growing in my backyard. They were actually just growing with the grass! 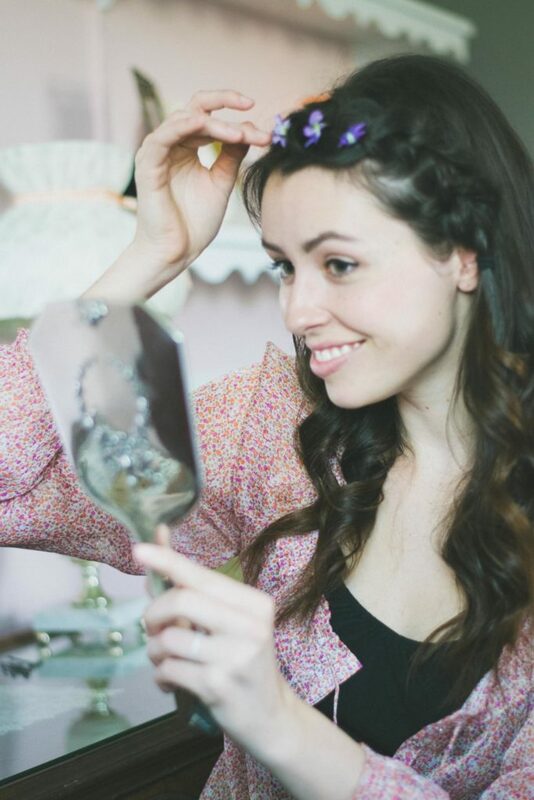 When putting flowers in your braids, you will need smaller flowers than you think! This is good because it’s so easy to find small little flowers growing in the grass, in parks, etc… Leave the stem on the flowers and feed the stem into the braid. This will help secure the flower and it will be less likely to fall out. Adorn your braid as you see fit! Comb out your curls to soften them. So what do you guys think? If you try this look please let me know! I would love to see it. What I love about this is it has the vibe of a full flower crown, but isn’t quite as dramatic so I’d still feel comfortable wearing this out and about. 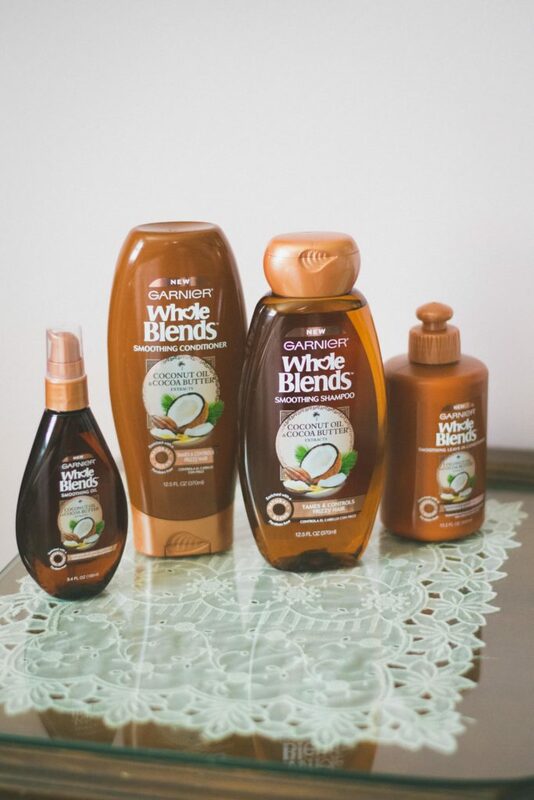 You can check out the full Wholeblends line here! Which one are you wanting to try? Here is an easy tutorial you can pin for later! 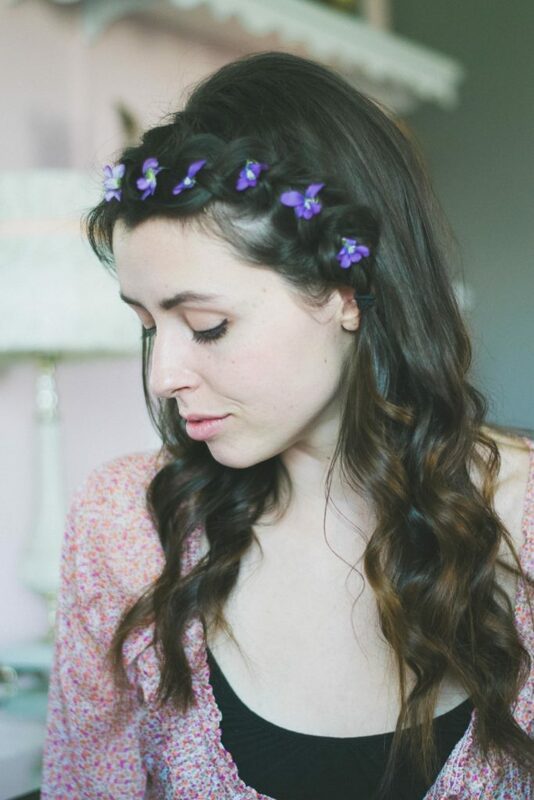 The braid looks so pretty and I love the little flowers, they add such a pretty pop of color! It’s almost like a deconstructed flower crown. Hey Paige!! 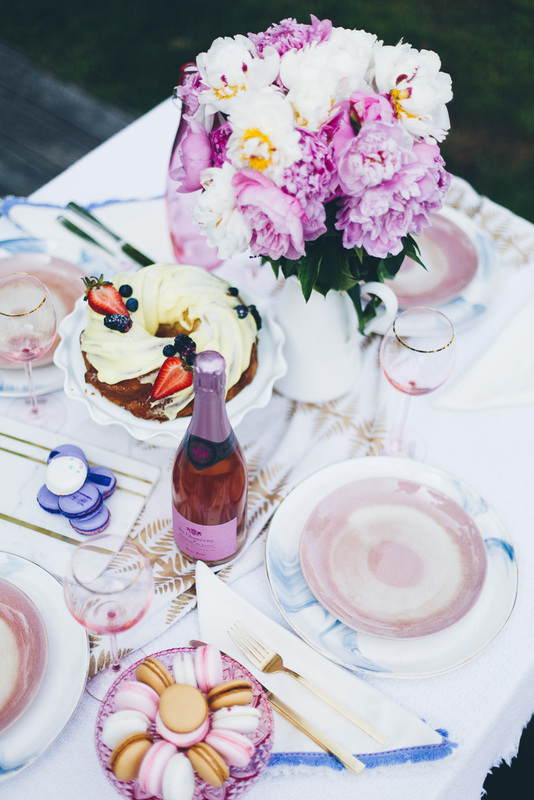 Love the little pop and color and yes, my thoughts exactly! I feel like it has a flower crown feel but isn’t too dramatic. The flowers look lovely! I do get frizz – one of the things when you have curly hair, I will have to check this out! Thank you so much Bree!! So jealous of your naturally curly hair! Hey Shannon!! 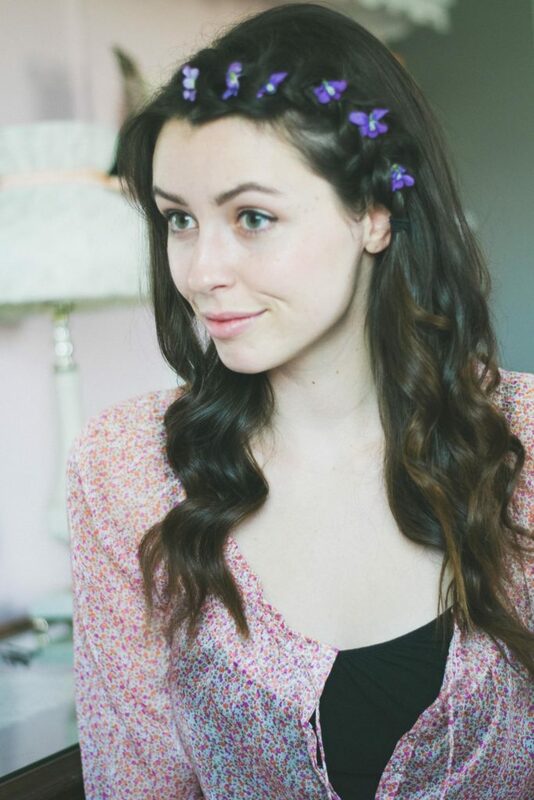 flowers always make a hairstyle better. Ahh I’m sure you could do it! Such a cute look!! I love your hair babe! Adi you’re so kind!! Thank you so much, you just made my day!